Ansem and Xemnas should've used their KH BBS FM Models for the HD Remixes and KH 3D. I feel like I'm the only one that hates their new models. Ansem was a heartless in human form so his tan made since, and his hair also can be explained as him possessing Riku. Remember Ansem also chose his appearence and there was also nothing wrong with Xemnas' model so there was no need to change it. I would like KH 3D, and the HD remixes more if they didn't change it. 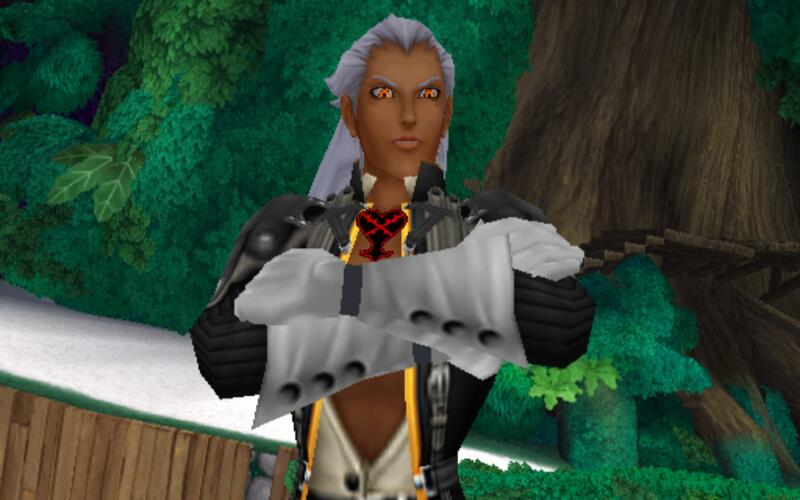 The picture was Ansem with KH BBS FM textures in KH FM. I can imagine an HD Model of BBS Ansem would've been way cool! Tbh I don't mind the cosmetic changes. It's some plot details that irk me. It's both that irk me. I mean they kept those models all the way to the first KH 3D trailer so the change was pointless. I already have an envision of how I wanted the story and at least Normura can't touch that *laughs. It would be cool if they rebooted KH after KH 3. basically it'd be to where none of the other stuff happened, and the true sequel to KH 1 would happen. That would be cool, but we can all dream can't we? I imagine a reboot at this point would alienate and enrage more fans than make happy.